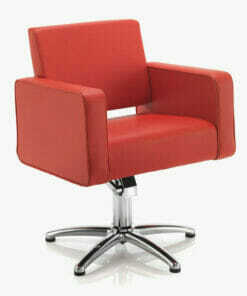 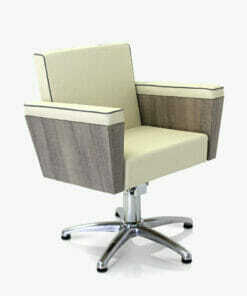 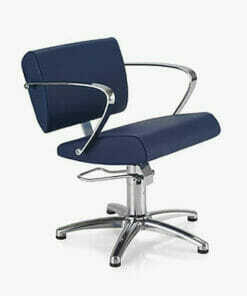 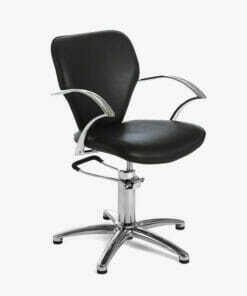 An economical and stylish salon chair at a very competitive price. 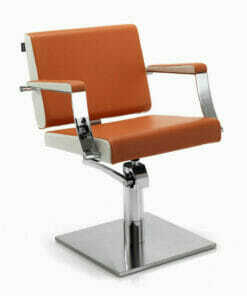 With a sturdy, chrome plated lockable hydraulic base. 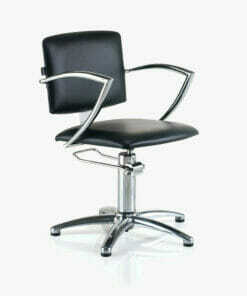 Allowing you to easily adjust the chairs height and stop any unwanted movement while in use. The REM Ariel Hydraulic Styling Chair features scratch resistant cast alloy arms and an easy to wipe clean one piece seat. 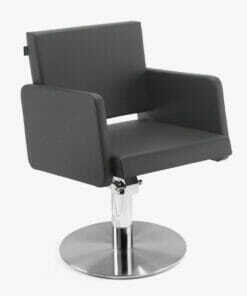 Making it ideal for the hard working hair salon or barbers shop environment. 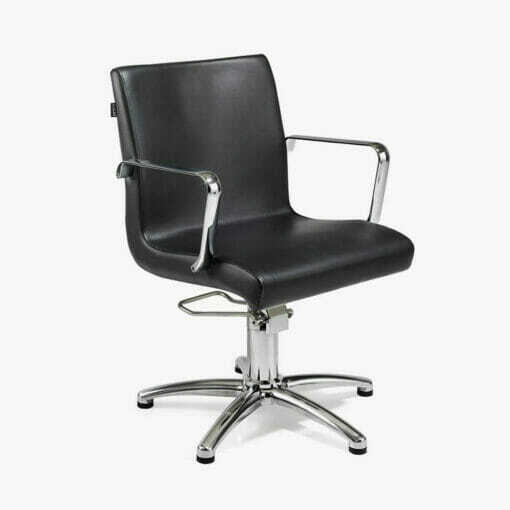 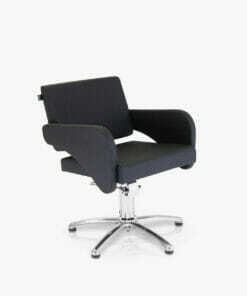 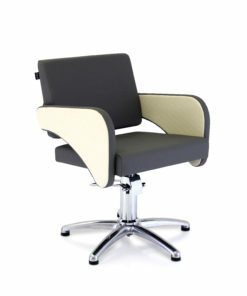 The Ariel is supplied in a hard wearing Black upholstery fabric, complete on a hydraulic 5 Star Chrome Base as Standard. 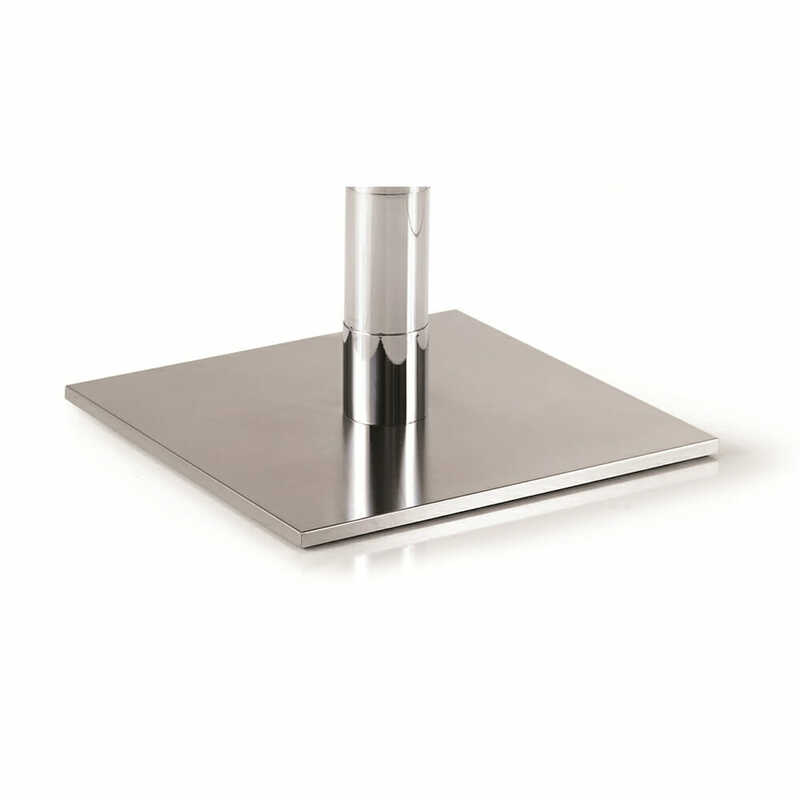 It is also available on a round or square base as an optional extra. 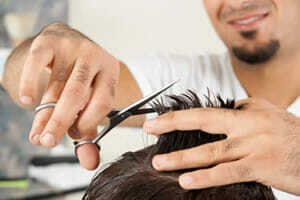 Please use the drop down boxes provided to choose. 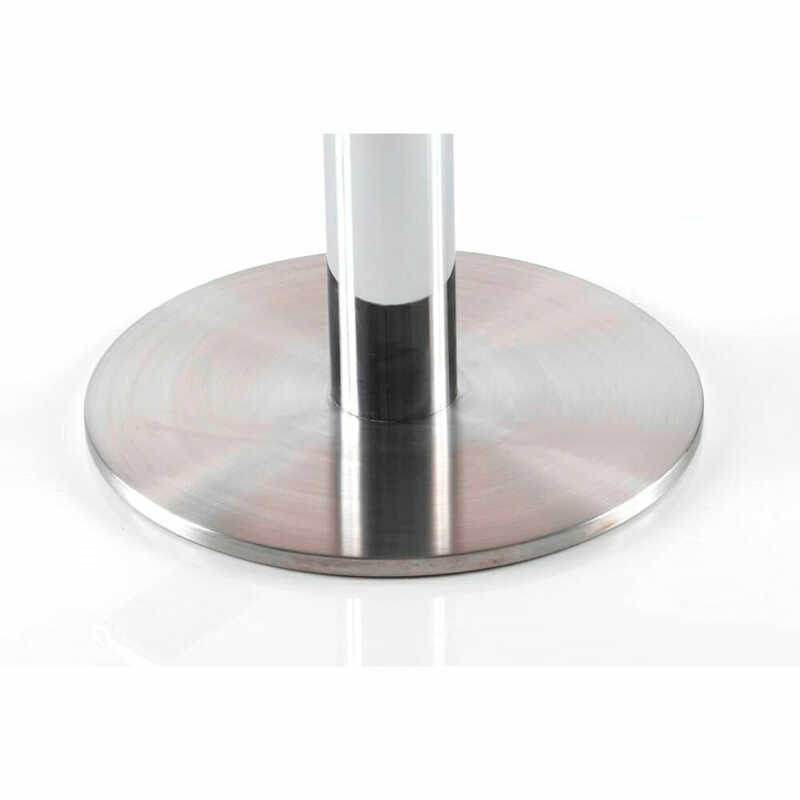 And please note that some base options may incur an extra charge. 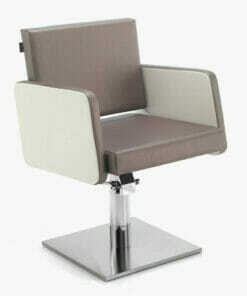 Dimensions: Width 57cm, Height 50-61cm, Depth 61cm. 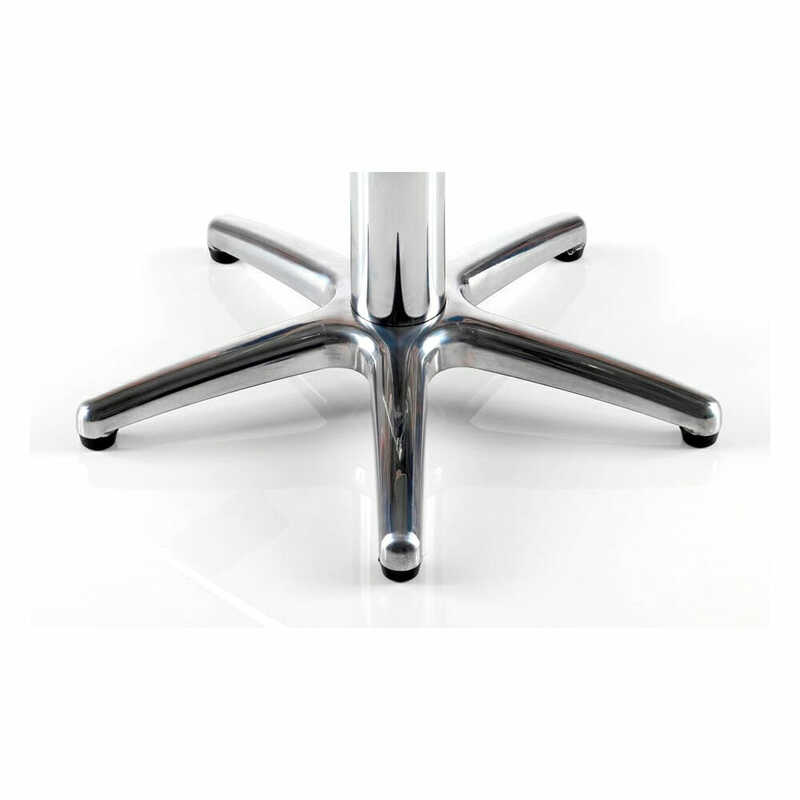 Ariel Hydraulic Styling Chair – Dimensions Sheet. 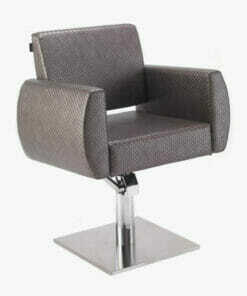 Elegant, fully upholstered salon chair with a unique and distinctive design. 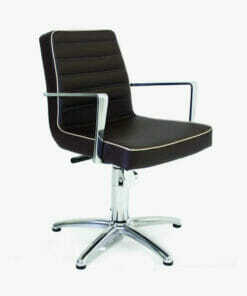 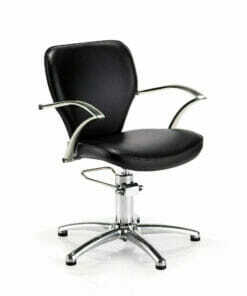 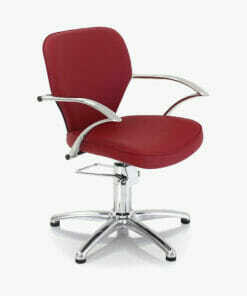 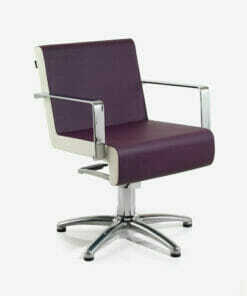 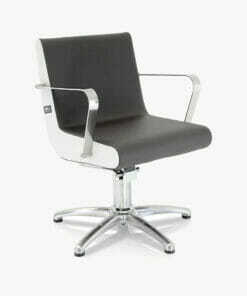 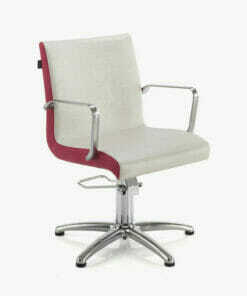 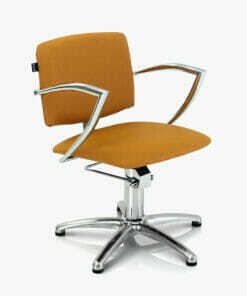 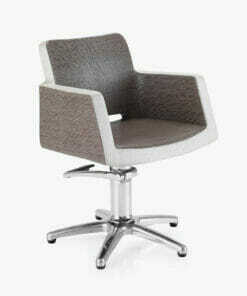 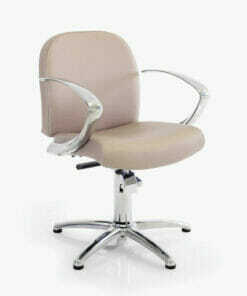 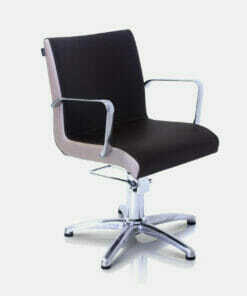 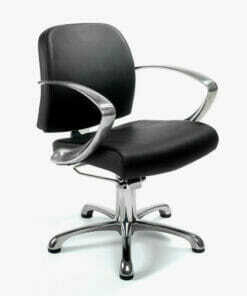 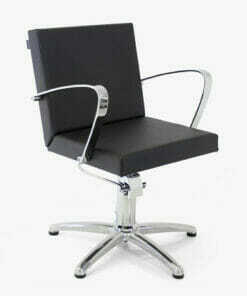 Elegant and sleek styled salon chair, ideal for all working environments.